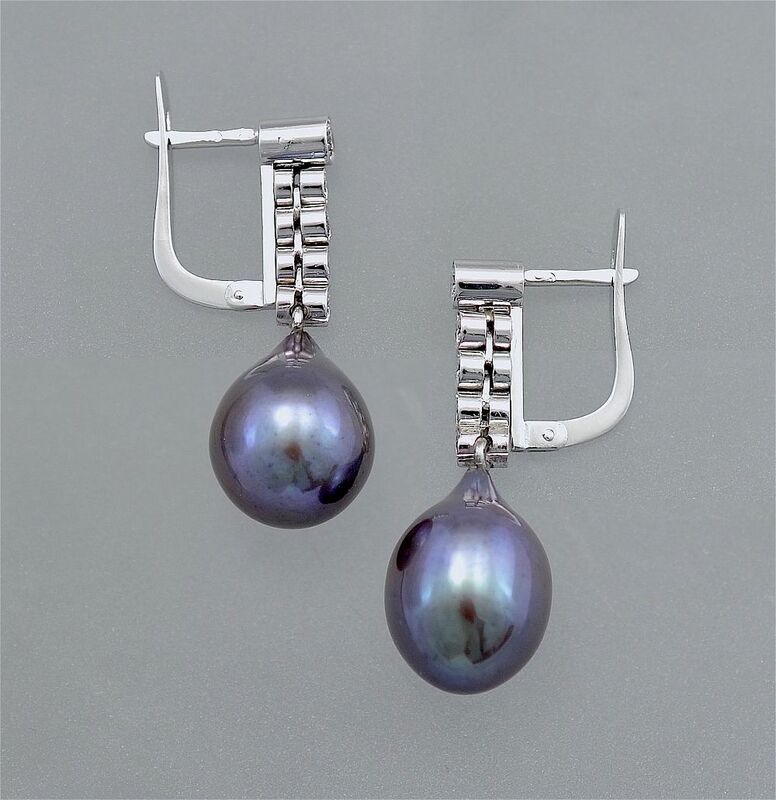 These very elegant articulated drop earrings are in 18ct white gold and are for pierced ears. 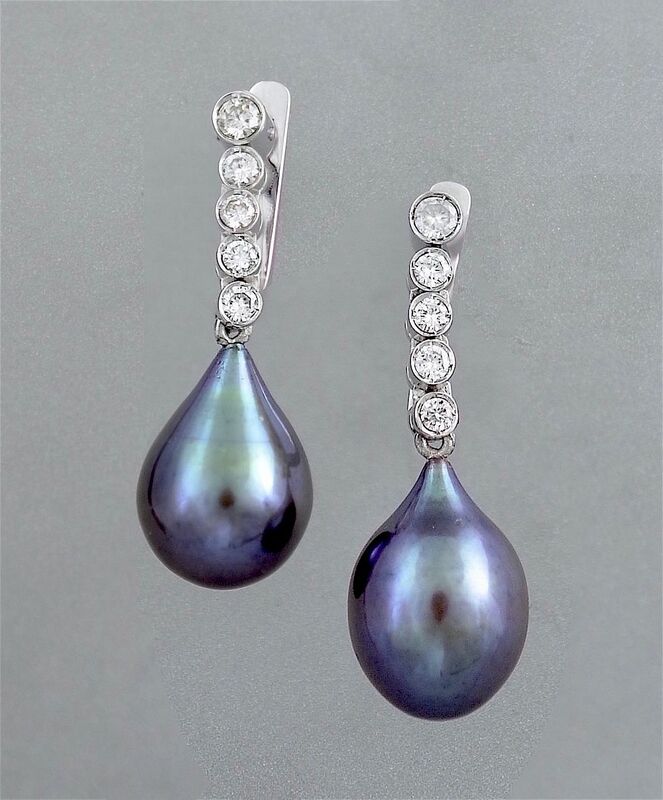 Each earring consists of 5 round diamonds set in articulated rubover settings with a teardrop shaped grey/black pearl suspended from the bottom diamond. The earrings have posts for pierced ears with U shaped snap clasps (hurray - no butterflies needed!). The earrings have Portuguese marks for 18ct white gold.